Choosing the right cosmetic dentist is essential in order to achieve the results you desire. It’s worth noting that cosmetic dentistry is not officially recognized as a dental specialty, which means that any dentist has the right to refer to themselves as a “cosmetic dentist“. However, to be able to perform cosmetic dentistry requires a high level of expertise, which can only be achieved with further studying, training and years of practice. Cosmetic dentistry is the term given to a set of services specifically dedicated to enhancing the teeth’s appearance, as well as improving its function. While a general dentist ensures your teeth are healthy and strong, a cosmetic dentist’s goal is to make sure your teeth are always ready for the camera. The procedures a cosmetic dentist does will make you feel more confident about your smile. A good cosmetic dentist is someone who has had extra training in order to provide quality oral enhancements. Aside from having technical knowledge, they also have real-world experience, and an artistic touch to boot. It is possible that you will notice some pricing differences from one dentist to another and not just between general and cosmetic dentists. Often times, both types of dentists can perform some of the same procedures. For instance, both general and cosmetic dentists have been trained to fill a cavity, but since cosmetic dentists are more focused on the appearance of a patient’s teeth, they will most likely use composite fillings, which can match the color of the patient’s teeth. Since composite fillings are more expensive than other variants like amalgam fillings, the cost of filling a cavity is going to be higher. If you’ve been asking yourself, “How do I find a good cosmetic dentist“, consider the tips below. 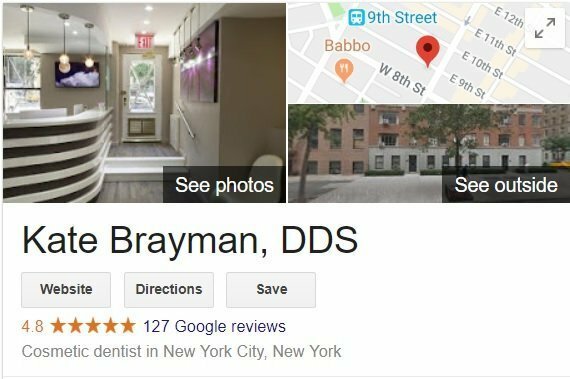 Googling “best cosmetic dentistry near me” can be a good idea since search engines will most likely show local results and give instructions on where the nearest dentist is. Check online to see if they have a website and get the office’s contact number. From there, ask for a preliminary consultation. Or you can always ask your friends or family members if they can recommend a good cosmetic dentist, someone they have had services with. Always ask for referrals from your peers or even other medical professionals if they can recommend a dentist that offers the best services. Thanks to the internet, we can easily view the results of a cosmetic dentist’s work. Go online to see before-and-after pictures of various dental treatments. However, beware of commercially produced photos. To be safe, always check for real customer reviews and comments of actual patients before considering a particular cosmetic dentist. Asking “how do I find a good cosmetic dentist” should also come with checking their credentials. You should not take the word of photos alone – make sure your prospective dentist is qualified. Check online to see where the cosmetic dentist was trained, what his / her continuing education courses are, and if he or she is a member of any professional dental organizations. A word of advice: choose a cosmetic dentist who’s a member of the American Academy of Cosmetic Dentistry (AACD). Members of the AACD are offered special training to learn the latest products, techniques, and procedures in cosmetic dentistry, which means they’re one step ahead of their peers. They do not only focus on aesthetics alone but also promotes systematic oral health. Before going in for a consultation, it’s important to know beforehand what you want to be enhanced. Compile a list of what you want done then go over several cosmetic dentists to check if they offer such services. That way, you can compare prices and check the quality of work before settling for the right professional. Your own perception of what looks good on you is an important factor if you want satisfying results. 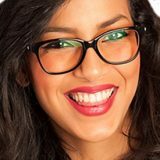 Though cosmetic dentists know the ins and outs of enhancing your smile, they should be able to integrate your own perception to their technical knowledge then apply it. A good dentist will be able to see more dental possibilities if you communicate what you want. 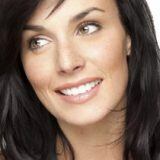 That said, it’s important to heed the advice of your dentist as well in order for you to achieve the best-looking smile. Knowing how to choose a good cosmetic dentist comes with the responsibility of knowing his or her qualifications as well. What you should look for, first and foremost, is a patient-centered dental clinic. Not only should the dentist be patient-focused, but their staff should also be able to carry out your goals as well. Choose a cosmetic dentist that listens to you, and at the same time can explain your options with ease. At the end of the day, your priorities should be their focus and they should be able to give you that perfect smile using their technical and scientific knowledge. Cosmetic dentistry is an industry that continually evolves along with technology in order to offer the masses with better ways to improve their smiles. Therefore, it is essential that your prospective cosmetic dentist is willing to be trained further through continuing education. Patient reviews and testimonials greatly tell about the services offered by the dentist and his dental office. A quick Google search or peep on their social media sites can give you significant information about what previous clients say and think about the cosmetic dentist you’re about to consider. Not all cosmetic dentists offer the same kind of dental services. 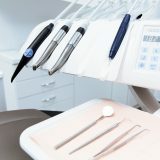 Before taking your pick make sure that your prospective dentist specializes in the procedure that you’re considering. If you’re not careful, you might end up with a dentist that only offers general services. A dentist who’s able to deliver multiple services is convenient since you don’t have to go to several clinics, saving time and money. If your problem requires extensive work, however, it’s best to look for a cosmetic dentist with that specific specialty. Do a background check as well to know if the dentist you’re considering is well-trained. To find the “best cosmetic dentistry near me”, you should look into your prospective dentists’ experience. How long have they been in practice? What are their specialties? You should also find out which dental procedures are commonly offered by a dentistry office. You’ll know what organizations a cosmetic dentist belongs to or the awards he has received by checking their website. Most dental websites would list any affiliations and awards, which tells a lot about the dentist himself and his philosophies. Check if the dentist or the dental clinic is a member of the AACD. The technology a dentist practices determine the level of care his clinic is capable of. Check for cosmetic dentists who are using intra-oral imaging, dental sedation, dental lasers, and CAD/CAM. There are a few more technologies that a dentist might use, and you can find out about this by inquiring through their offices. It is important that you feel comfortable while waiting for your turn or sitting in the dentist’s chair. Not a lot of people are comfortable with the thought of having their mouth tinkered with dental tools, and some even have legit fears or phobias. That said, the office of a cosmetic dentist must have a positive atmosphere in order to have a more pleasant experience with the dentist. Preferred day(s) of the week for the appointment? Preferred time(s) for the appointment?